BEIRUT (AFP) – At least 42 civilians including five children were killed in regime, Russian and US-led coalition air strikes in northern Syria on Wednesday, a monitor said. 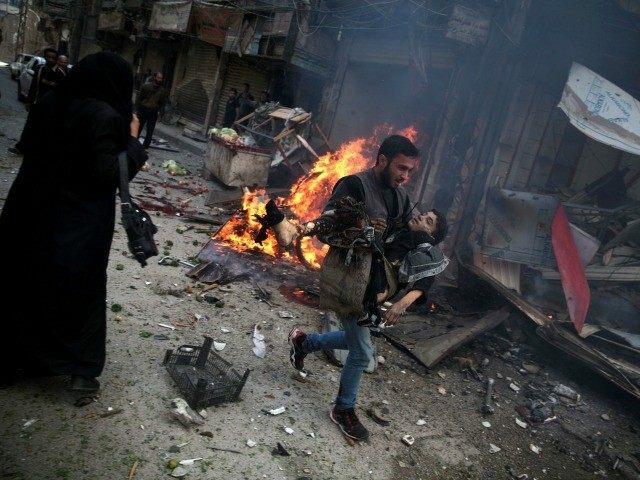 Regime air strikes killed 15 civilians in Idlib province, while Russian and regime air strikes killed at least 11 civilians in nearby Aleppo province, said the Syrian Observatory for Human Rights. Air strikes by the US-led coalition killed a further six civilians in Aleppo’s Manbij town and 10 in Raqa city in the province of the same name, both held by the Islamic State group, said Observatory chief Rami Abdel Rahman.